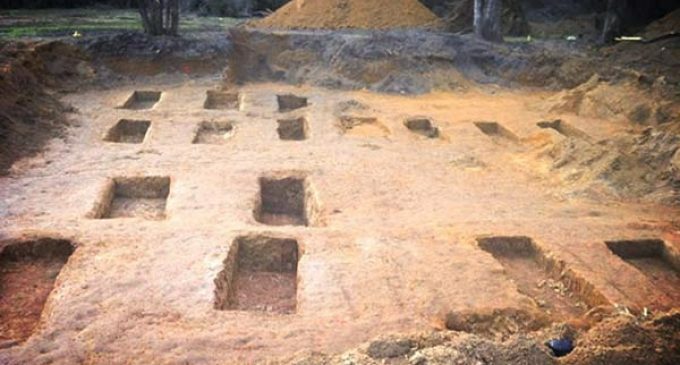 An excavation on the grounds of a Florida State reform school just west of Tallahassee, known as the Dozier School for Boys uncovered the remains of 55 people in a disturbing graveyard. All of the bodies appear to be children and the discovery throws a gruesome light on allegations that the school was the site of abuse and brutality. State records indicate that 96 boys died while “attending” the school in which they were incarcerated. it will be interesting to see how they died. I can’t believe they never told the families. Interesting Post. Great questions from the reporters in this video. These incarcerated youth easily written off as runaways. I guess the state believes they own the liberty, life, and death remains of these youth.